What’s your favorite scary movie, listener? Well, chances are if the answer isn’t something super obvious and popular, Mav probably hasn’t seen it. That said, he’s fascinated with the basic concept of horror movies, especially slasher ones and since Halloween is fast approaching, it seemed like a good time to educate him on why the horror genre, especially the slasher film subgenre. 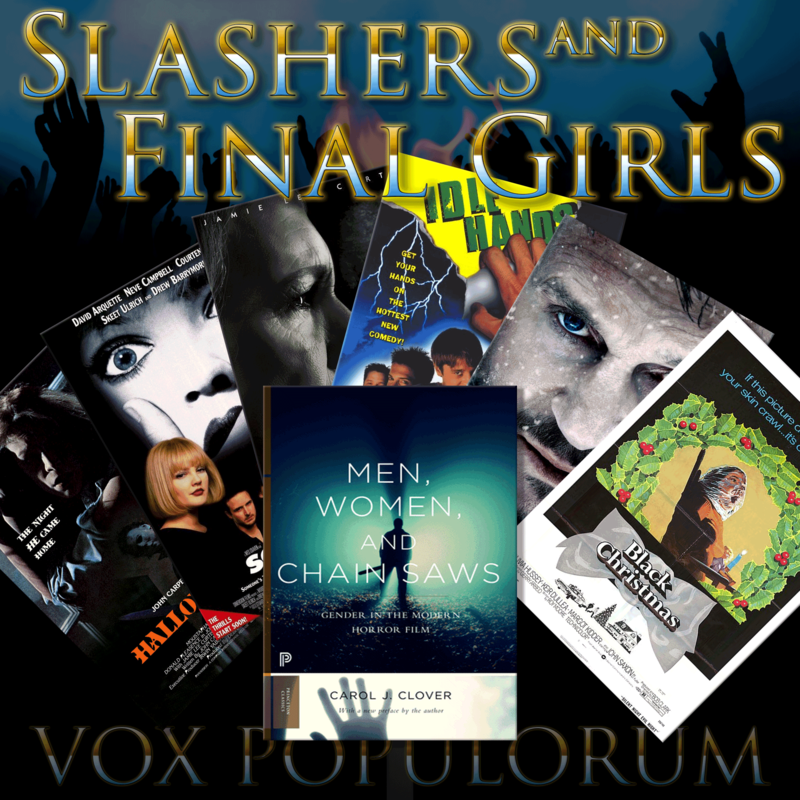 He and Wayne are joined by horror authors Gwendolyn Kiste and Christine Soltis as well as literary and culture critic John Hadlock to discuss the make up of the slasher formula, the cultural significance of the final girl and just why people like horror movies anyway. And we discuss those great romantic horror movies that everyone loves, The Notebook and Gidget… trust us, it makes sense when you get there. Previous PostPrevious Call for Comments: Cat Ears and Lingerie?